An article came across my feed this morning about last week’s elections in Israel. It read: The people have spoken. They want to live in Netanyahu’s Israel. I find that a deceptive headline. Many of us who are familiar with the country have joked for years about how difficult it is to come to a consensus in Israel, especially when it comes to politics. If you ever want to ensure something never gets decided decisively, give it to the Knesset. How do you get 120 clones to completely disagree with each other and turn on each other completely? Elect them all to the Knesset. Israel is a nation of wonders and miracles. It helped the Jewish people rise from the ashes of the Holocaust and became a mighty nation. It is a country that is a world leader in medicine and other sciences, with more patents and start-ups per capita than any other nation on the planet. And yet, in nearly seventy-one years since its independence has never elected a majority government; it is not strange for an Israeli government to comprise five or more parties in a coalition. 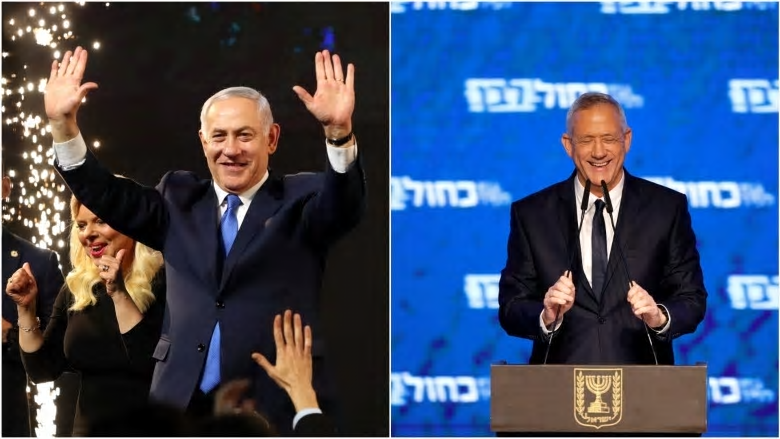 In the West we may discuss the Likud Party and the Blue and White Party today (as it was once Likud and Labour), the truth is that Benjamin Netanyahu’s ‘Likud’ government, elected in 2015, consisted of members from Likud, Kulanu, Shas, United Torah Judaism, The Jewish Home, and New Right parties. Note that this is a list of parties that actually won seats in the Knesset… a number of parties on the ballot did not actually win any seats, including New Right-Wing, Zehut (Identity), and Gesher (Bridge). So to say that “The People Have Spoken” is almost silly… Likud won the election and has the first right to build a coalition; they did this by winning thirty percent (30%) of the votes. The next party (Blue and White) lost by less than one percent… with slightly over twenty-nine percent (29.2%) of the votes. The two parties with the greatest number of votes – bitter rivals who disagree on nearly everything, from territorial concessions for peace to the economy – still have just under sixty percent (60%) of the votes. That means that forty percent (40.2%) of the people want something else… whether it be Left Wing peaceniks or Arab nationalists or Ultra-Orthodox Jews who believe that the state should be run by the laws of the Torah or whoever else. While it is, in the writer’s opinion, unfortunate that the Likud Party, led by Benjamin Netanyahu (who is facing corruption and bribery charges and may land in prison before he has the opportunity to run for office again), came out ahead. It is not simply a question of the party – in my time as a voter I have voted both for and against the Likud party – but frankly we have seen both in Israel and abroad that when one party is in party for too long it becomes complacent (at best) or corrupt (at worse). …But these things did happen and the elections did not come out differently… and yet again, Israel will continue to be run by a man many believe to be a corrupt, right-wing automaton. This does not mean that “The People of Israel Have Spoken.” If anything, it says that the electoral system in Israel is broken. Israel is a country that for decades has suffered from electile disfunction. Maybe it is time we stop blaming the people, and look for a way to fix the system.